Gretsch is excited to unveil a slew of limited edition models and swank new colors to our arsenal this week at Summer NAMM. Lend your eyes to these 9 brand new splendors—available this fall for your playing pleasure. 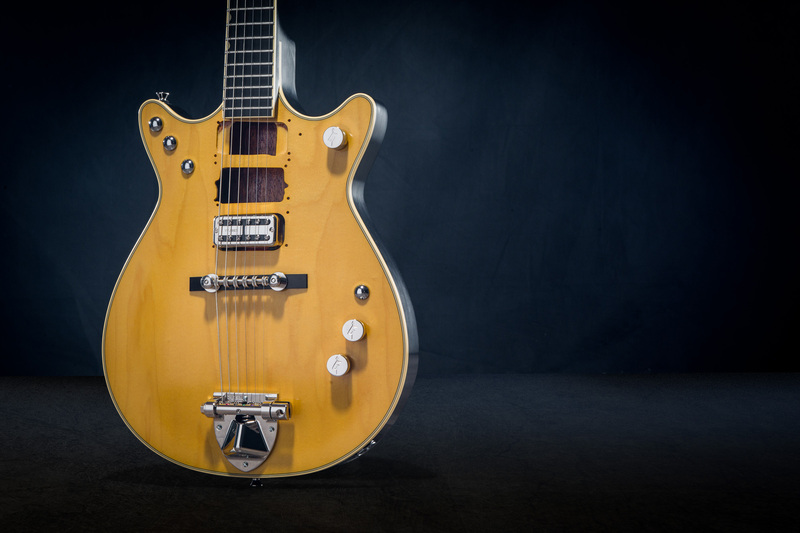 Available in an Aged Natural finish, this signature model features the essential hallmarks of one of rock’s most iconic guitars including “DIY” pickup routes with simulated screw holes, Space-Control bridge with ebony base and a high-output TV Jones Power’Tron bridge pickup, giving it a growl that matches its moniker. 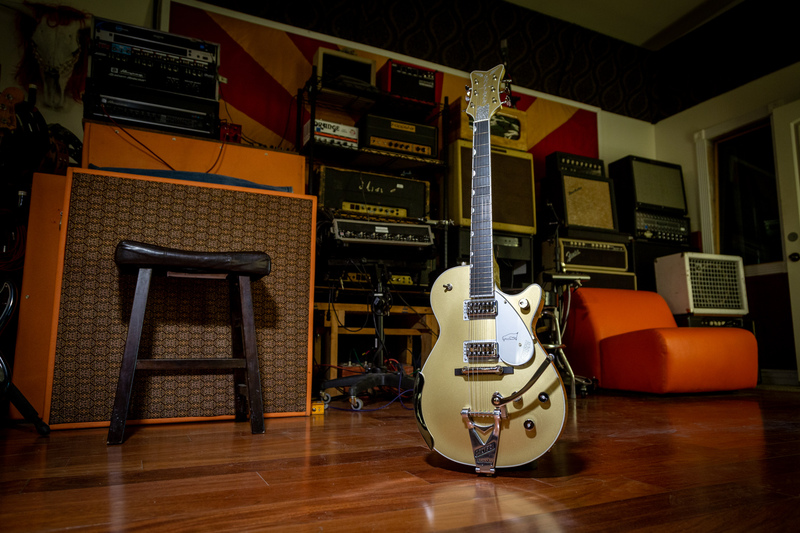 No one does a vintage aesthetic quite like Gretsch, and it shows in the G2420T-P90 Limited Edition Streamliner Hollow Body P90 with Bigsby. 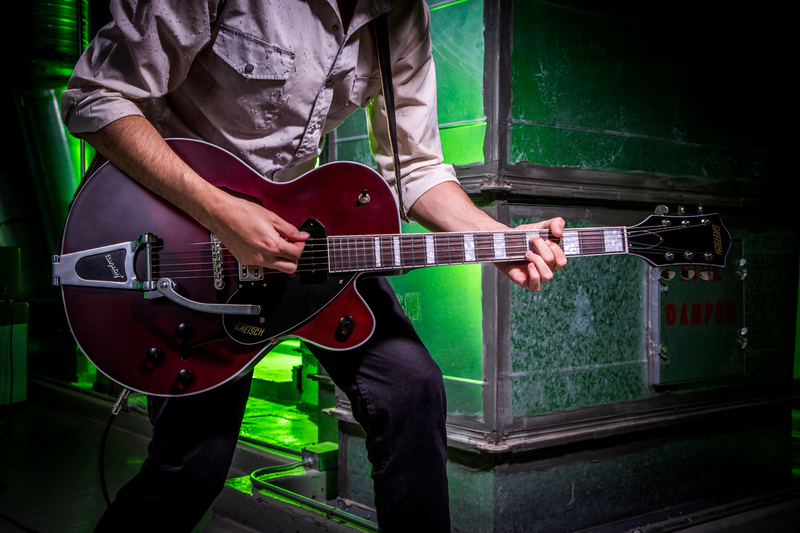 The G2420T-P90 combines classic vintage style you expect from a Gretsch — a gorgeous Midnight Wine Satin finish, arched laminated maple construction, slick-looking nickel hardware and a fast-playing 12”-radius rosewood finger board with 22 medium jumbo frets. The single-coil P90 Dog Ear neck pickup spawns a vibrant, fat tone while the Broad’Tron neck pickup offers a throaty humbucker purr for an unexpected twist to this beauty. Offered in a stunning Riviera Blue Satin finish, the G2655TG-P90 Limited Edition Streamliner Center Block Jr. P90 is designed for three simple things—high gain-friendly performance, slick, easy playability and spectacular style. The single-coil P90 Soap Bar bridge pickup spawns a brighter tone than a traditional humbucker, yet still has that throaty midrange for a unique tone, while the complementary Broad’Tron neck pickup adds a warm accent. The regal Lake Placid Blue G6136T-59 Limited Edition ’59 Falcon sits atop the throne with its classic aesthetic and vintage feature set, reminiscent of our golden age of electric guitars. A highly resonant laminated maple top with 1959-style trestle bracing and laminated maple back and sides make this instrument a sonorous cannon. Throw in a pair of TV Jones Ray Butts Ful’Fidelity pickups and you’ve got yourself a power house of a guitar with unparalleled bravado. Who said penguins can’t soar? The G6134T Limited Edition Penguin sports super fly looks with its Casino Gold finish, matching headstock, glittering silver sparkle binding and chrome hardware, including the slick banjo arm rest. More than looks alone, this Penguin delivers pure and articulate Gretsch tone – thanks to a pair of TV Jones TV Classic pickups. 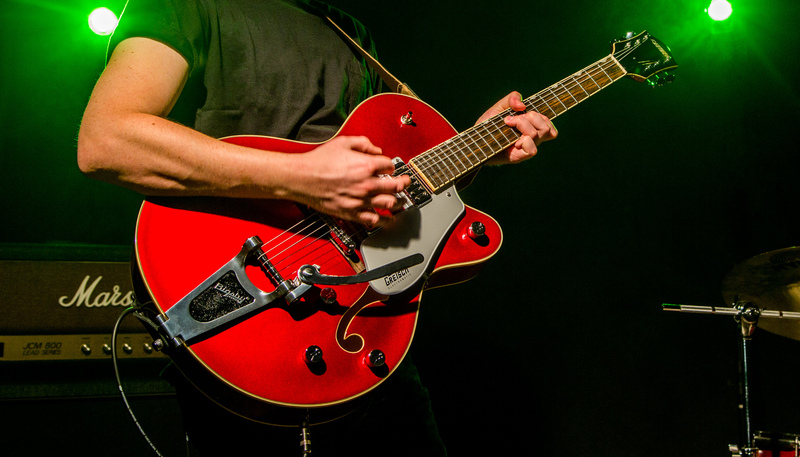 The G5655TG Limited Edition Electromatic Center Block Jr. Single-Cut has been painstakingly crafted to deliver fearless and electrifying Gretsch authenticity. 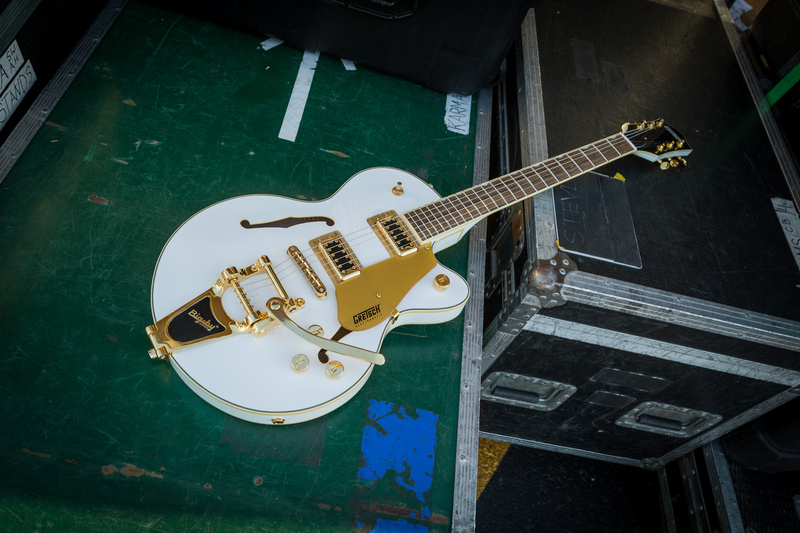 This limited edition offering displays stage-stealing style with a Snow Crest White finish and gleaming gold hardware – sure to be seen even from the nosebleeds. Offering excellent playability, the 12”-radius laurel fingerboard hosts 22 medium jumbo frets while its dual Black Top Filter’Tron humbucking pickups deliver bold, dynamic and articulate tone with a punch. The G5021E Limited Edition Rancher Penguin Parlor delivers dapper Penguin style with a majestic Casino Gold finish, silver sparkle neck and body binding and chrome hardware. This richly resonant parlor-size acoustic guitar sports a Fishman Presys III pickup/preamp system for radiant tones reminiscent of a sunrise. 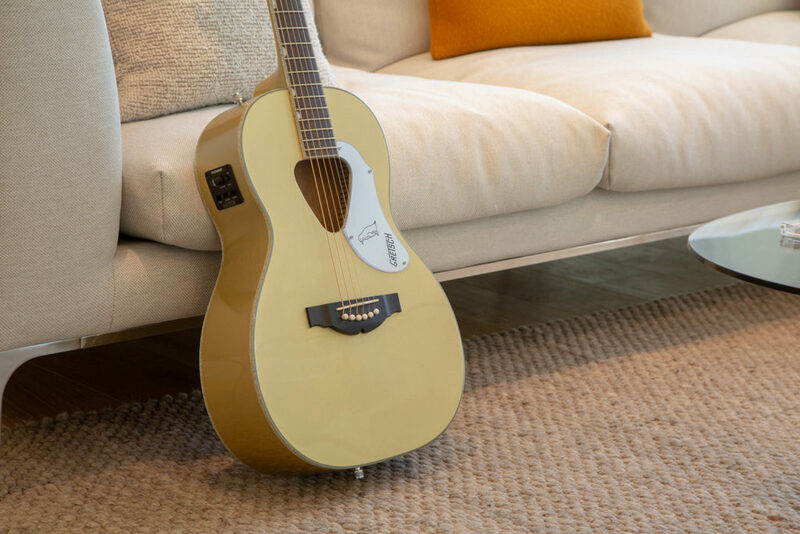 Whether you find yourself center stage at Nashville’s Bluebird Cafe, New York’s Madison Square Garden or a dusty London pub, this guitar turns heads wherever it ventures. 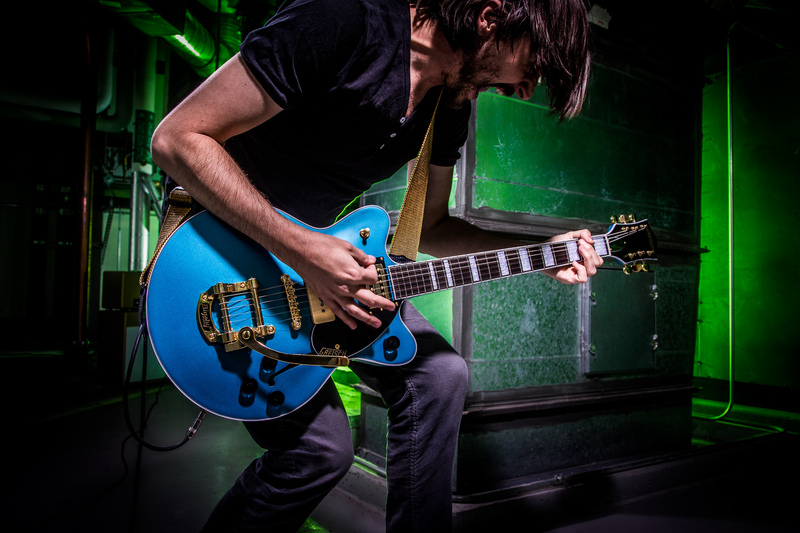 The G6659TG Players Edition Broadkaster Jr. Center Block packs two new U.S.-made Full’Tron pickups that deliver full-spectrum sonic range with a growl unlike any other pickup, in addition to classic Gretsch chime and brilliance. The G6659TG also features a slightly smaller single-cutaway body for comfort, tonal focus and feedback resistance, while a chambered spruce center block enhances body resonance for more organic tone and comfortably lighter weight. 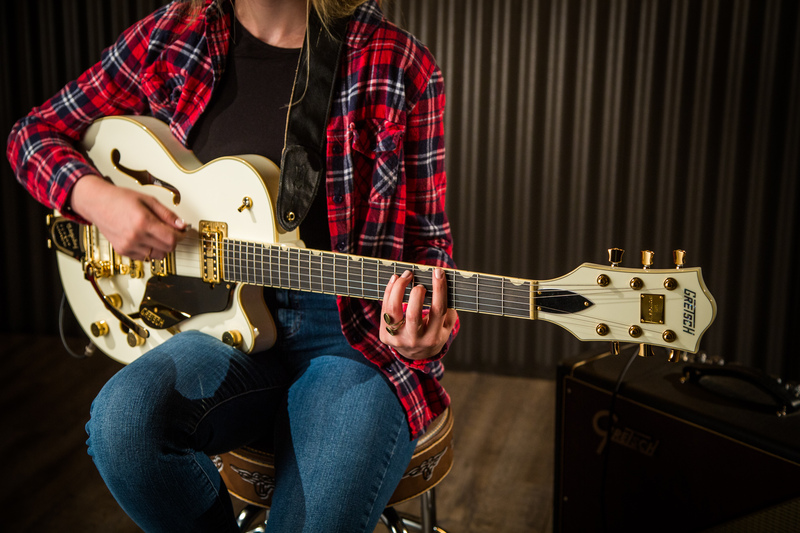 And with its classic Vintage White finish, tortoise pickguard and gold hardware, you’ve got yourself a guitar that grabs the spotlight and doesn’t let go. The G5420T Electromatic Hollow Body Single-Cut comes in a sweet Candy Apple Red finish with chrome hardware, and has a fully hollow build with a true Filter’Tron voice that explodes with a tart punch and clear, strong presence. 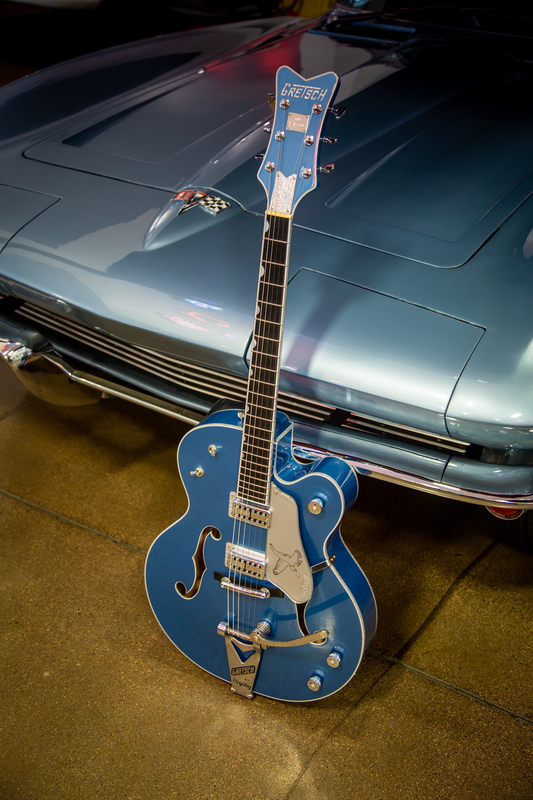 The G5420T features premium dual Black Top Filter’Tron humbucking pickups, versatile upgraded controls including master volume treble bleed circuit and a smaller late-’50s G6120 bound headstock.